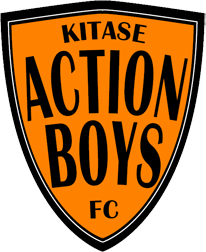 The relationship between VVV-Venlo and Kitase Action Boys FC is heartwarming. First of all VVV-player Johnatan Opuku is ambassador of the Action Boys supporting their efforts in collecting used football shoes from players and clubs in the region. Not less important is the opportunity the newly promoted Premier League (Eredivisie) club is offering three junior players of Action Boys to join the U17 training of VVV in Venlo for a period of two months. We all hope the 2017/2018 season for VVV-Venlo will be as succesful as the training period of Agyiri, Robert and Mohammed!